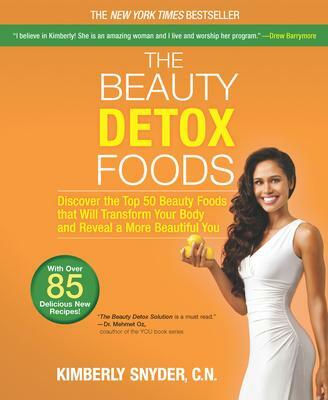 In her bestselling book, The Beauty Detox Solution, Kimberly Snyder--one of Hollywood's top celebrity nutritionists and beauty experts--shared the groundbreaking program that keeps her A-list clientele in red-carpet shape. Now you can get the star treatment with this guide to the top 50 beauty foods that will make you more beautiful from the inside out. Stop wasting your money on fancy, expensive beauty products and get real results, while spending less at your neighborhood grocery. With over 85 recipes that taste as good as they make you look, you can finally take charge of your health and beauty--one delicious bite at a time. Kimberly Snyder is a clinical nutritionist and founder of the holistic health company KS 1Life. Snyder has appeared as a nutrition and beauty expert for "Good Morning America," "EXTRA," E! Entertainment, FOX News, "Good Day LA," and been featured in "Lucky," "ELLE," "Nylon," "US Weekly," "In Touch" and "OK! Magazine." Visit her at www.kimberlysnyder.net."